Kidney stones are a pretty common ailment. Approximately 1 in 5 men and 1 in 10 women will get kidney stones in their lifetime. But will kidney stones disqualify you from life insurance? The short answer is not likely, but there is a chance that they will impact your life insurance rate. Kidhey stones are basically a bunch of minerals that have hardened into small stone-like shapes in your kidneys. They are usually quite small – like pebbles- but they can cause big problems. There are many things that may happen when you get kidney stones, such as back pain, blood in your urine, pain while trying to urinate and the constant need to urinate. Some kidney stones are easy to pass naturally through your urinary tract. However, larger stones can get stuck and may need to get surgically removed. Whenever you have a pre-existing medical condition, a life insurance company will sit up and take notice. Some that prove to be non-life threatening or complicated will not impact your life insurance rate, but others will. So where on the spectrum of severity is kidney stones? Kidney stones are normally accompanied by other health problems such as higher blood pressure or kidney problems. Whether or not you have any of these additional problems will play a major factor in determining your life insurance eligibility and rate. What if I have Kidney Problems? If you have kidney problems that go beyond just a few small stones that were naturally passed, you will have a much harder time getting approved for life insurance. That’s because the kidneys play a crucial role in your overall health; any sign that they aren’t as good as they should be is a red flag for life insurance companies. 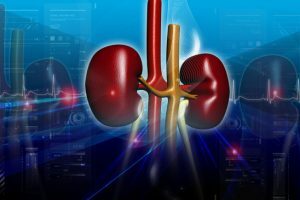 If I have kidney problems am I ineligible for life insurance? For ordinary life insurance, probably. However, you still have the option of getting a guaranteed issue life insurance policy. Unlike an ordinary life insurance policy, a guaranteed life insurance policy does not require you to answer any medical questions or get a medical exam prior to being underwritten. Guaranteed life insurance policies do not offer as much coverage as whole or term life insurance policies, but they will still help your family cover your final expenses and possibly lost wages for time off during your final days and/or after you die. This is a great life insurance option for people with a history of kidney stones, or any other existing condition that you think will disqualify you from term life insurance. How do I find the best guaranteed life insurance policy? There are a lot of great life insurance companies out there, but they may not all be right for you. It takes a lot of research and know-how to find the best life insurance company and the best guaranteed life insurance plan for your needs and circumstances. One easy way to find what you’re looking for is to turn to TermLife2Go. First thing’s first: we are not a life insurance company. We do, however, have a deep understanding of the life insurance industry. TermLife2Go is an agency that works with dozens of the top life insurance companies in the United States. Our job is to find the best life insurance policy for life insurance seekers like you. We never try to sell customers a life insurance policy that isn’t right for them; since we do not represent any single life insurance company we have no motivation to push one life insurance company over the next. This gives us the freedom to work entirely with our customers’ best interests in mind. We work for you, not for the life insurance companies. If you would like to know more about applying for life insurance with a history of kidney stones or any other existing medical condition, call TermLife2Go for a free consultation.